~ ~ ~ EPC Updates ~ ~ ~: Planet Earth Disaster Loss Winner for 2012: USA, USA, USA! Planet Earth Disaster Loss Winner for 2012: USA, USA, USA! 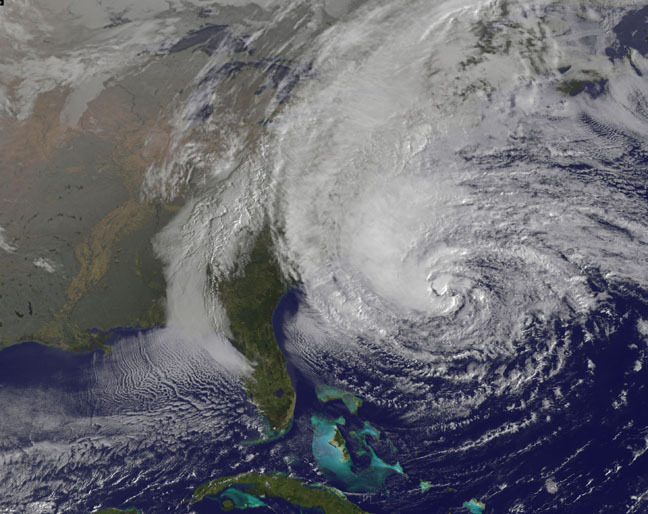 According to Swiss Re, Sandy’s losses stemmed from the largest ever wind span recorded for a North Atlantic hurricane, and from the ensuing massive storm surge that caused damaging flooding in a densely populated area on the East Coast of the U.S. It also led to the worst power outage caused by a natural catastrophe in the history of the U.S. In second place, a disaster few think about: drought. Lack of rain in the US Corn Belt is believed to have caused $3 billion in damages. Comment: Per drought: Hats off to the dedicated professionals of the USDA, Farm Service Agency, State and County agents, and all others who effectively handled what was clearly a significant disaster for the Nation during 2012. Thank you!